After the opening statement by the prosecution, the jury was certain to vote guilty. Preston's judicial fate had been signed, sealed, and delivered. The prosecution's opening statement wasn't long winded; it was actually quite brief. Nor was the prosecution's opening statement particularly outrageous. It engaged in some poetic license, to be sure. Shandra Charles was not a little girl, for example. She was certainly young, but she wasn't particularly little. Nor did Sergeant Hamilton actually cradle her in his arms. He claimed only to have helped her turn over. But overall, the opening statement was concise, proper, and businesslike. The State's opening statement shouldn't have been sufficient to convince the jury that Preston must be guilty. But it was. The problem, at least from Preston's perspective, wasn't with the prosecution's opening statement. The problem was with the defense's opening statement. More specifically, the problem was that the defense gave no opening statement. The defense had three choices. First, it could present its opening statement immediately after the prosecution presented its opening statement. Second, the defense could present its opening statement after the prosecution closed its case in chief, before the defense presented its first witness. Third, the defense could present no opening statement whatsoever. There is only one correct answer, and it definitely is not the one behind door #3. While jurors are instructed not to form any opinion of guilt or innocence until they have had an opportunity to deliberate as a group, that instruction is merely another convenient judicial myth. Jurors are people. It is impossible for them to not think of white elephants when instructed not to. They cannot help but form thoughts of guilt or innocence as the trial unfolds before them. In the trial of Preston Hughes, the State's opening statement was completely unrebutted by the defense. The next thing the jury would hear would be a long string of State witnesses presenting evidence of Preston's guilt. Those witness were barely challenged by Preston's attorney. The defense didn't begin to explain why Preston might perhaps be innocent until what turned out to be page 542 of 852 pages of testimony. The testimony was 63% complete before the jury heard just one word from any witness who said anything that might have anything to do with Preston's innocence. By that time, Preston was already cooked. 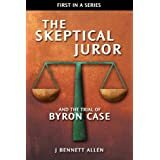 For me, there was a specific trial that transformed me from a skeptical juror into The Skeptical Juror. 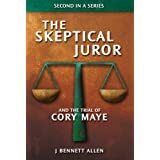 I was a juror on that trial. After six days of testimony, I was shocked to realize at the beginning of our jury deliberations that the jury was leaning 11-1 "guilty." I guess that was only fair. The other jurors were shocked to learn that I was leaning "not guilty." They had recently chosen me as the foreperson. I ran us all through through the wringer. After eight days of deliberation, the jury was voting consistently 10-2 "not guilty." Two jurors would never, ever in a billion years change their vote. The judge intervened and declared a mistrial. I was distraught. I was confident the defendant was absolutely innocent. I was confident he would be retried. I was confident he would be found guilty. I had accomplished nothing. It was a multiple victim, multiple count child molestation case. It was the McMartin child abuse case done small. It was a modern, prettied up version of the Salem witch trials, without the hangings or pressings. I had not saved a man from wrongful conviction. I had merely added to the crushing financial burden he and his family would face before he was carted off to prison, effectively for life. As soon as I was released from my jury service, I approached the defendant's attorney in the hallway. He was on the phone, bragging that he had avoided a guilty verdict in a multiple victim, multiple count child abuse case. As it turns out, it would be something to brag of, had he been responsible. Such cases almost always result in guilty verdicts and harsh, harsh sentences. I told him his client had come within a hair's breadth of being convicted. I assured him that his client would be retried. I assured him further that his client would be convicted if he, the attorney, presented the same defense. That was the beginning of some 300 to 400 hours of working together to prepare for the next trial. The attorney was slow to accept my description of juror behavior as I had experienced it. He was even slower to accept what I told him he had to do to save his client. I told him that defending an innocent client demands an entirely different strategy than defending a guilty client. Since defense attorneys spend almost all their time defending someone who is in some way guilty, most defense attorneys are notoriously bad at defending someone who is actually innocent. I told him he had to give up on the belief that the jury would presume his client innocent. I told him he had to prove his client innocent, or at least prove his client not guilty. He had to confront every suggestion of guilt offered up by the state, and he had to confront it immediately and forcefully. He had to have an encyclopedic knowledge of the case on the tip of his tongue so that he could catch and pounce on any error by the state. He had to do all that without looking mean or aggressive. He had to be nice as he demolished them. As the second trial approached, I challenged him to opening statements. He gave his opening statement for the defense. I gave the opening statement for the State. He conceded that I clobbered him. I told him again to give up on all that presumption of innocence crappola, all the silliness that the state had to present proof beyond a reasonable doubt. I told him that the first words out of his mouth should be "This man is innocent." I told him to stop burying his lead. I told him to make his very best case that his client is innocent as soon as he was allowed to do so. He should absolutely not save his best for closing argument. He must better the State during opening statements. He must at least break even with each State witness. He must win decisively with each defense witness. He must, in his summation, bring it all together in incontrovertible, visual fashion. When the time came, the first words out of his mouth were in fact: "This man is innocent." Never, never, never take a pass on your first opportunity to convince the jury your innocent client is innocent. 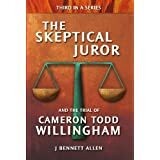 I'd buy a book about your conversion to The Skeptical Juror. Thanks Steve, but I have plenty of reason to suspect you would be one of but a few. I would also buy the book...with the idea that many would want to learn more. thank you!